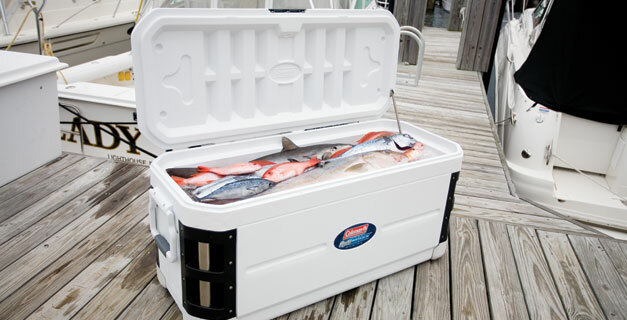 A must-have for fishermen, Coleman Marine Coolers are designed specifically for use in the hot sun. UV Guard™ reflective colour additives protect the cooler, fighting against yellow discoloration and cracking caused by sun exposure. Combined with all of the Coleman Xtreme® cooling-qualities, these coolers are perfect for outdoors men, fishermen, or a day at the beach!